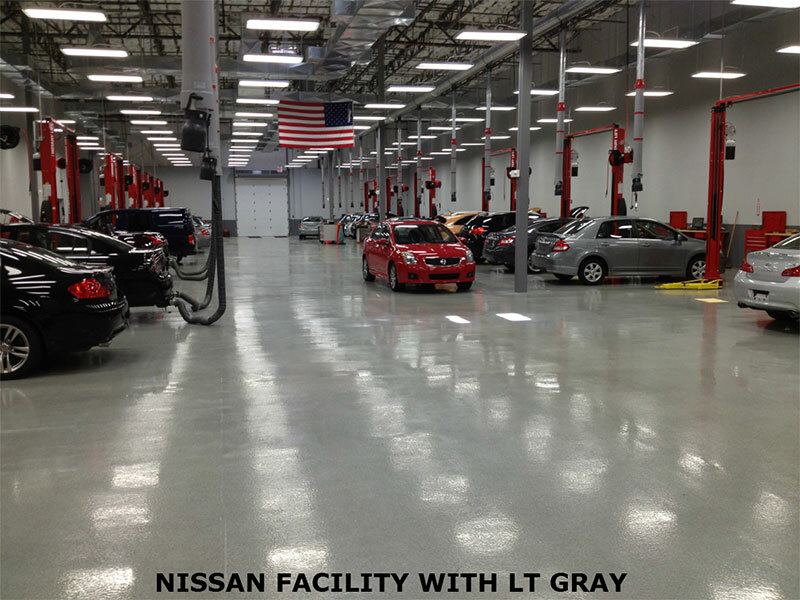 35,000,000 sf sold makes this the #1 turnkey epoxy flooring package! It is sold by the square foot and packaged for larger size commercial floors such as work shops, repair shops, race shops, hangars of 2500 SF and larger. For floors smaller than 2500 sf see our standard size commercial epoxy package that comes with same epoxy materials as the pallet system but with accessories geared toward smaller sized floors. The pallet system SHIPS FREE on a pallet(s) direct to you complete with all floor prep solution, our two part solids epoxy base coat(color of your choice), our Ultra High Wear Urethane fortified topcoat in same color as base coat with 8mg loss rating(very hard finish), mixers, mixing bucket, 18" lint free epoxy rollers, 18" heavy duty roller frames, spiked soles, micro tubular aluminum nonslip additive(highly superior to standard grip used by other brands), easy to follow directions and unlimited free phone tech support. Forklift and pallet jack rated, this is a very versatile epoxy coating system that is easily applied by anyone who can use a roller. No prior epoxy coating application experience is needed. Our complete system makes it easy for you to achieve professional results. To order simply select your color (Certain colors such as white and red, are supplied with an additional coat of base coat epoxy and will charge out at additional cost per sq ft), then enter the square footage of your floor in the Qty box, we recommend that you add 10% as a safety factor since every floor has a different porosity factor and some floors may absorb product at a higher rate than others. If you live in one of the following states you need to select the Low VOC Version due to new stricter VOC laws enacted by the EPA, CA, CT, DE, IL, IN, MD, MA, ME, NH, NJ, NY, OH, PA, RI, VA, KY and all of Canada. MINIMUM ORDER SIZE FOR THIS PACKAGE IS 2500 SF. FOR FLOORS LARGER THAN 6000 SF EMAIL OR CALL FOR QUANTITY DISCOUNT. 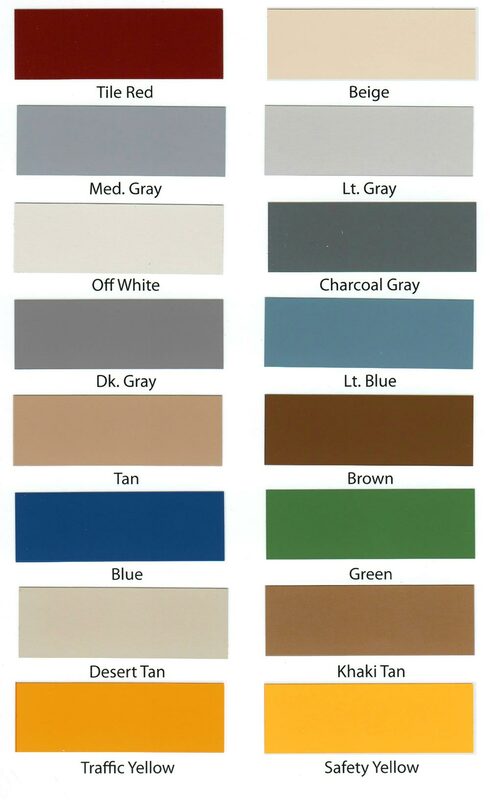 CUSTOM COLORS AVAILABLE FOR 10,000 SF AND UP. Watch the video below to see an Epoxy Floor On A Pallet Job being installed and for additional product information. For floors 2500 SF and up calculate the square footage of your and add 10% as a safety factor. Please do not order the exact square footage of your floor. Every slab is different and coverage therefore is not an exact science. We are generous in the amounts of epoxy we provide but sometimes concrete can be like Sheetrock and just soak up epoxy like a sponge. Also if ordering Beige, Red or White we suggest you add 15%, these lighter colors yield less coverage. If you need to do stripping we can provide you with a small amount for that, just give us a call and let us know how many lineal feet of stripping you need and what color. These pages will make sure you avoid the most common mistakes people make when doing their floors with an epoxy coating. All of the above images were done by the owners themselves or in house staff with no prior experience. We design and package the pallet system so that even first timers can get professional looking results.